Learnodo was born in a small village of Sarashi in the country of Zanesha in Pharenan (A world existing parallel to Earth). He came from the family of renowned blacksmiths. Aged 17 Learnodo graduated from “Taureano Memorial Knowledge Centre” with a “Mind Skill Adept” certificate of excellence. An award which earned him an apprenticeship with “Mind Wizards” in Magi. 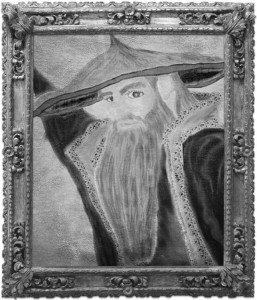 Learnodo was a quick learner and was soon the shining star in the “Mind Wizards” Group. Still young at the age of 22 he was drawn to the “Knowledge Revolution” in Magi. Over the next 11 years Learnodo devoted all his energies to the revolution and came to be recognised as one of the pioneers of change. On his return to Pharenan after 21 years Learnodo decided to carry on his good work. He joined hands with Lizarazu and opened a “Knowledge Centre” in Kovalan, Zanesha. Now on Earth, Learnodo has begun his quest with two of his new found friends.